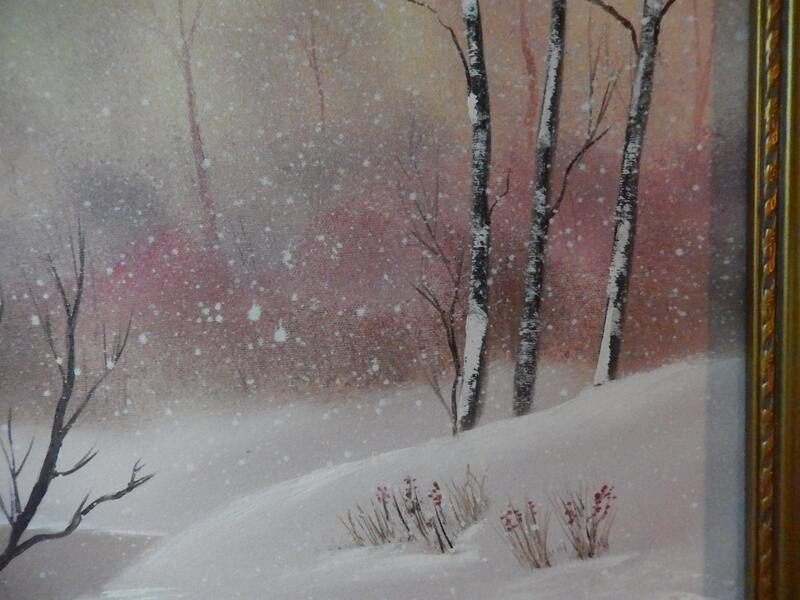 SOFT WINTER DAY is a 16” x 20” UNFRAMED painting. 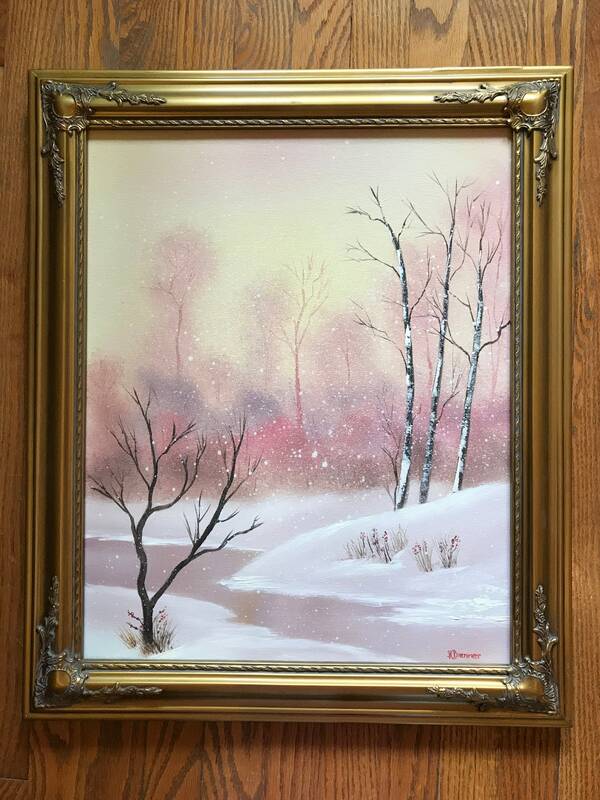 This painting is a beautiful pastel scene of softly falling snow on a bright winter day. 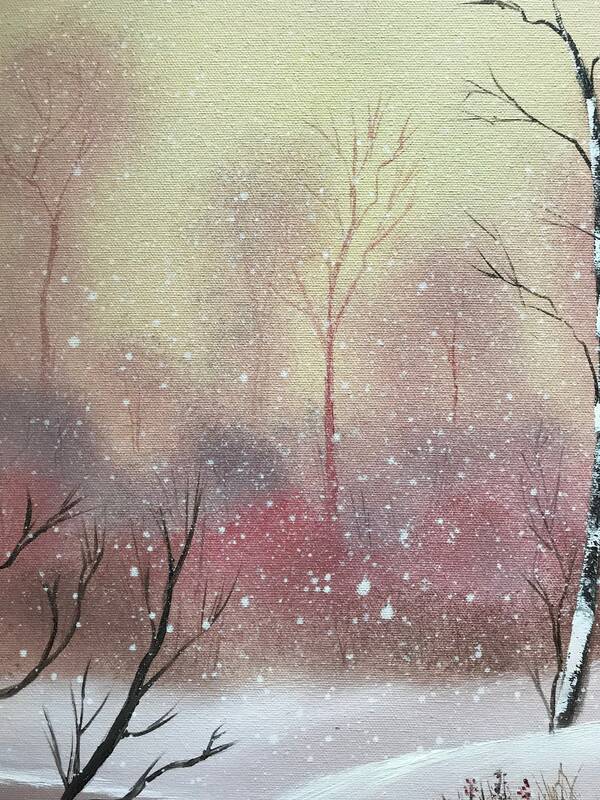 The trees in the background are softly defined in shades of yellow, peach, and light reds. 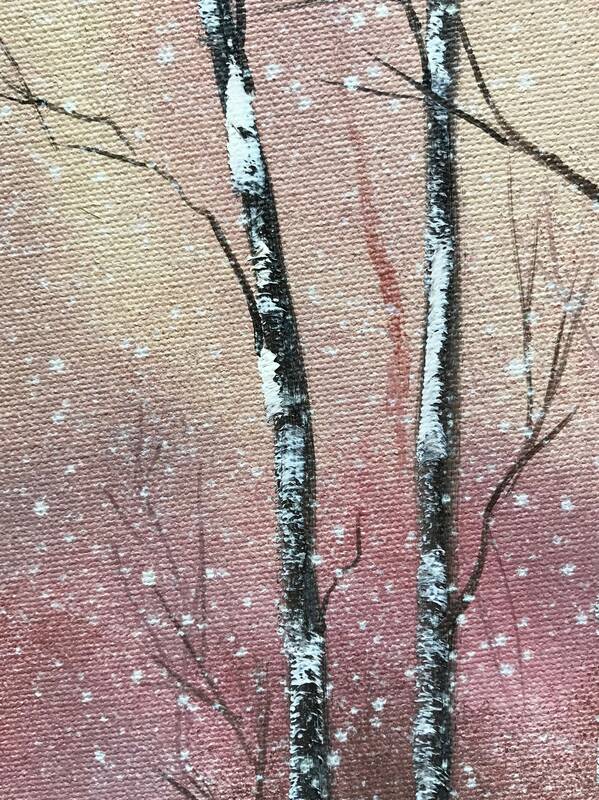 A trio of birch trees in the foreground are visible near a little stream that cuts through the snowy ground. The sky colors are reflected in the peaceful stream. There are bushes full of red berries for the winter birds. Other pictures are closeups of the painting. 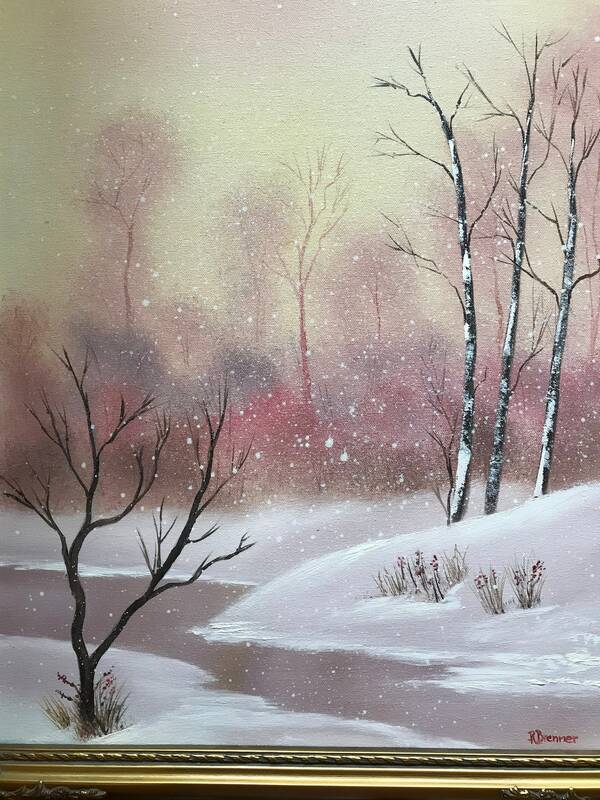 They highlight the top of the trees, the sky reflected in the stream, and the bushes. 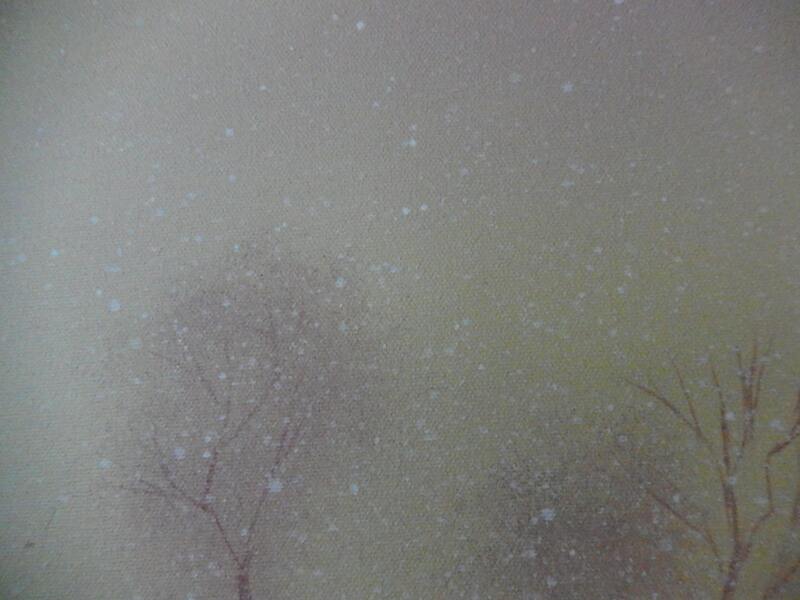 They also show the softly falling snow. 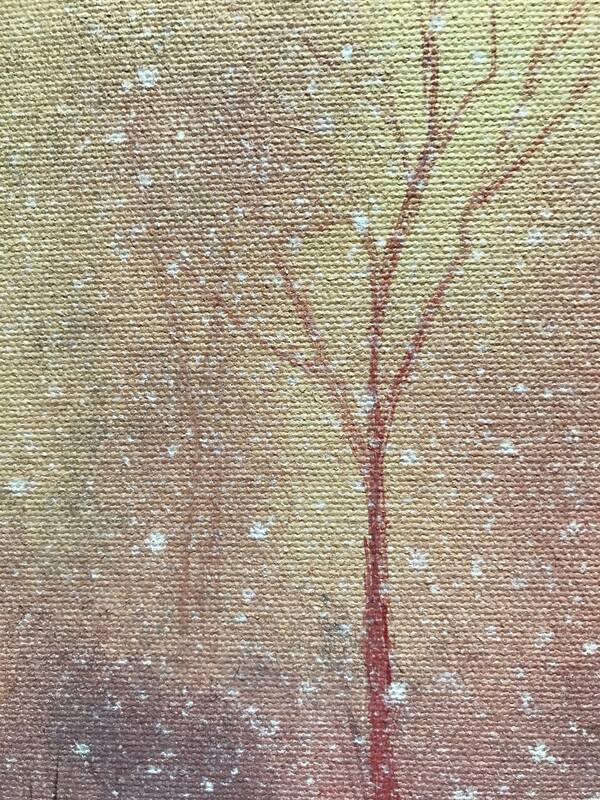 The first picture is of the painting. Due to the soft yellows and peaches in the painting, it was hard to capture the beautiful colors when photographing it. It was easier to capture the correct colors when it is framed on the wall. 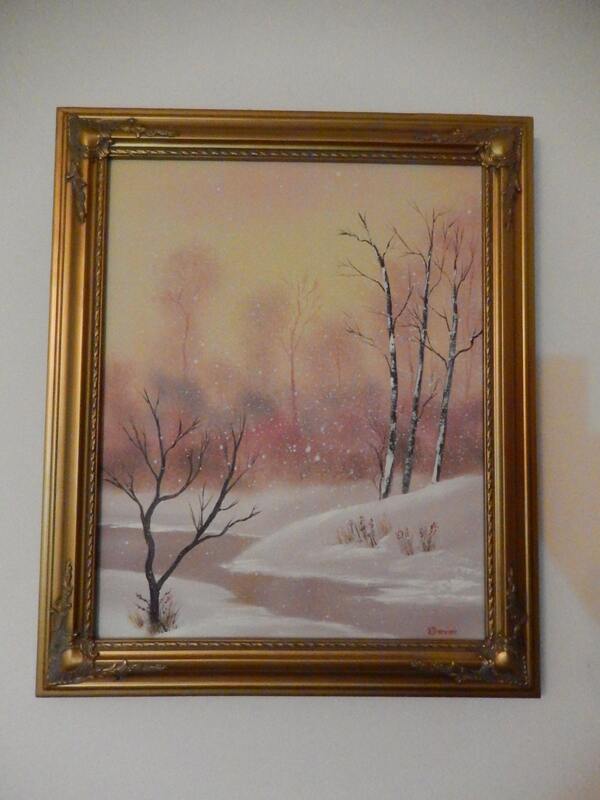 Therefore, the second picture shows the painting framed. Please understand a frame is NOT included in the price. 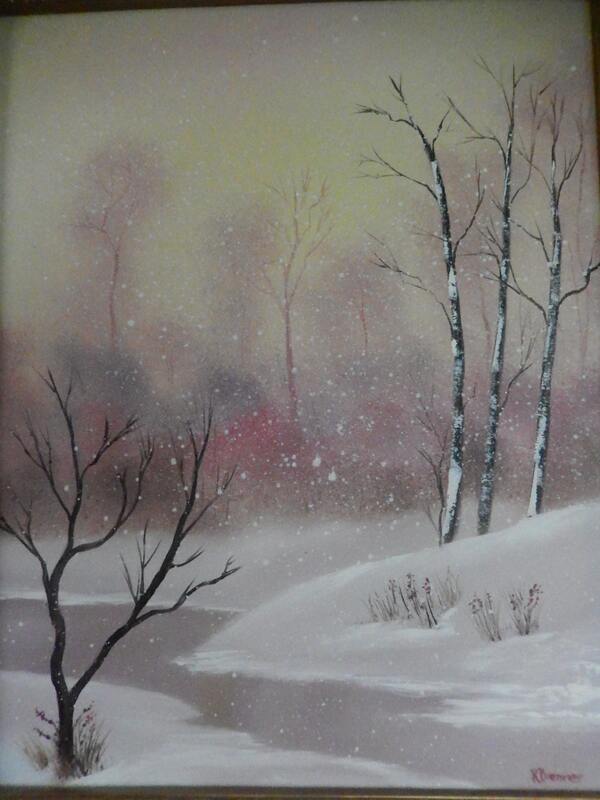 But, if a frame is wanted, please email me and a negotiated price can be worked out.